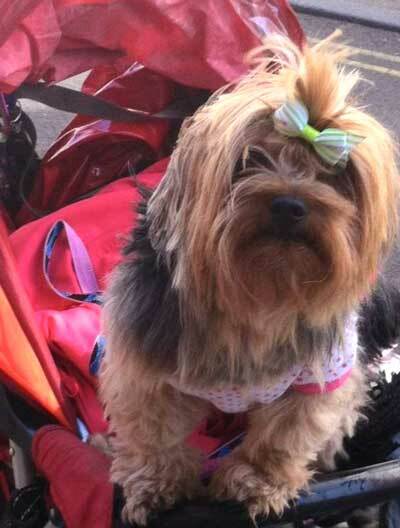 Detectives searching for a Yorkshire terrier wheeled away in a pushchair have released a picture of a mystery woman they wish to speak to. Gog the dog is a celebrity in Leicester, famed for wearing clothes and being wheeled around by owner Monti Shortt. But last week someone walked off with the buggy when Ms Shortt briefly popped into the Haymarket Shopping Centre. 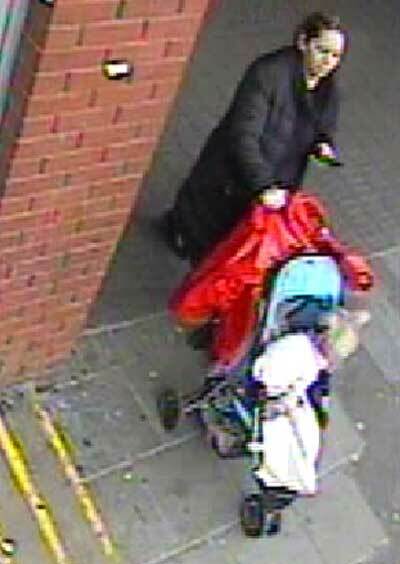 Leicestershire Police have released an image of a woman with the buggy and appealed for information. Ms Shortt, 69, who has cancer, said she needs to get her pet back urgently because Gog needs surgery on her knees. Leicestershire Police said the dog was in a navy blue pushchair taken from outside Cafe Nero in Humberstone Gate at about 3:00pm on Friday. "Who is this woman? Do you know where the dog is now? "Has anyone offered you a Yorkshire Terrier?" a spokesman asked. Speaking earlier this week, Ms Shortt said: "I haven't been without her since I've had her. We come into town regularly and she lights everybody's day up." Ms Shortt's coat, bag and inhalers were also in the stolen buggy but she is only concerned about getting Gog back. I'm sorry for the loss of her dog, but the dog would probably be better off if she was allowed to walk instead of being pushed around. I saw a woman pushing her dog in a stroller near my house recently, and felt sorry for the dog.